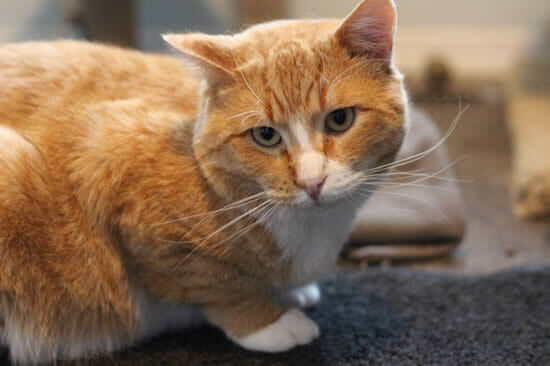 Chester came from a small town, abandoned when his people moved away. He didn't know where else to go, so he stayed on the doorstep of the only home he'd ever known. But it was no longer his home and the new occupants didn't see him as their responsibility. 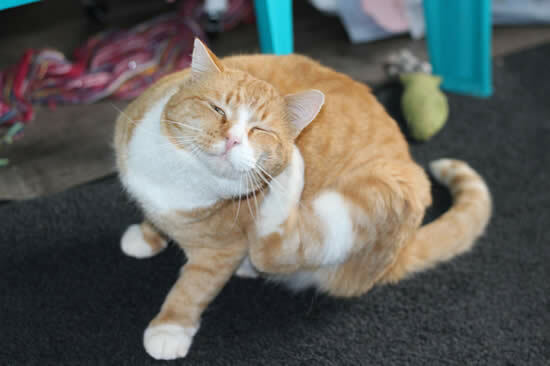 Neighbours felt very sorry for the little orange cat, so they contacted the Last Chance Cat Ranch. Foster home space for rescue groups is always at a premium, but Chester was squeezed in. PAW was subsequently asked for help with finding a permanent home for this nice fellow. Chester is a sturdy boy with a healthy appetite. 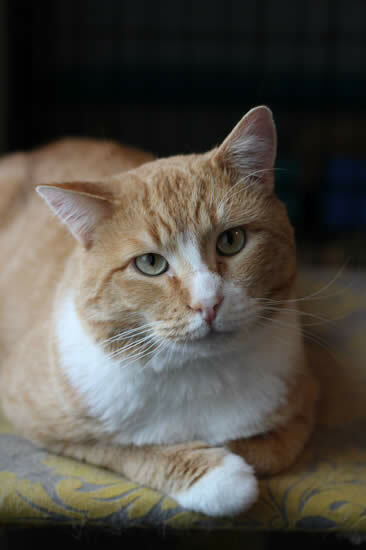 He doesn't mind the other cats in his multi-cat foster home; in fact, we would call him an exceptionally easy-going fellow. A "sweet boy" is what his foster providers say about him. Once he knows you, he'll invite himself onto your lap and purr to his heart's content. What we want for him, however, is to once again have his own family. He would also be a fine companion for another cat. 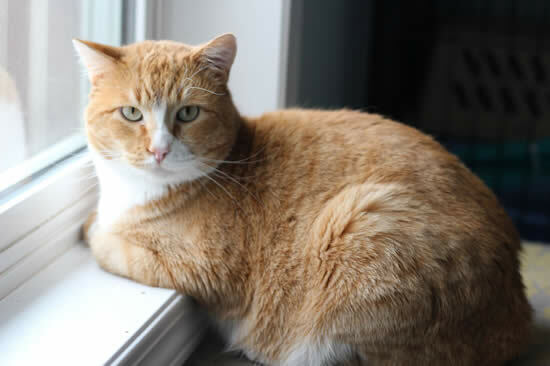 For now, he spends time at a window for two reasons: he's watching and waiting for his new family to come along, but he also keeps a sharp eye out for any feline trespassers. He's such a good boy!